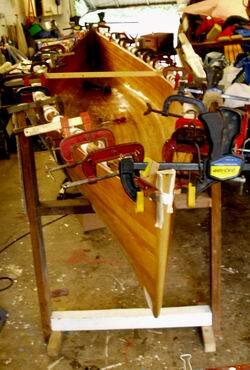 New Year’s Day 2006 – first strip is on! 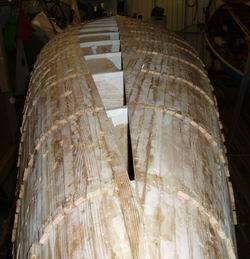 …and after trimming the strips back. 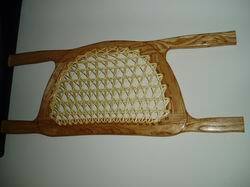 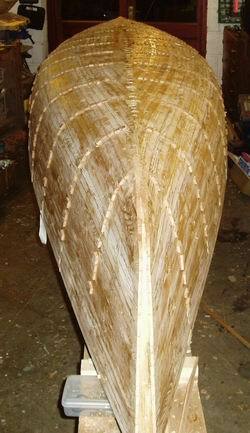 and 300 nail holes filled with 2mm dowel – actually quite a theraputic job! 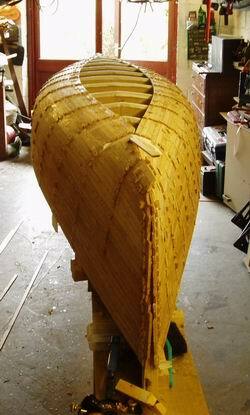 The inside ready to be sanded – probably the worst job in the entire build! 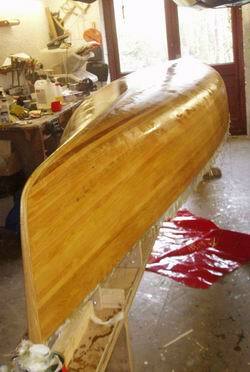 Inside sealed with epoxy and waiting for the fibreglass. 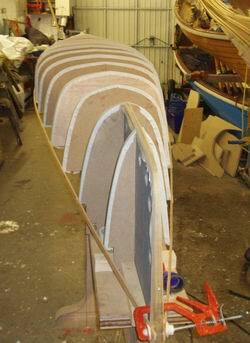 Gluing on the gunwhales required only a few clamps! 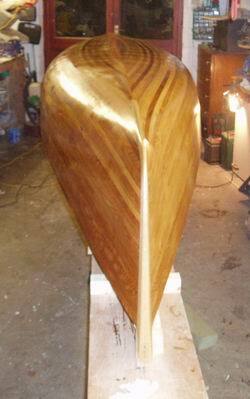 Inside painted, gunwhales and hull varnished. 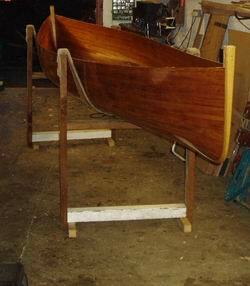 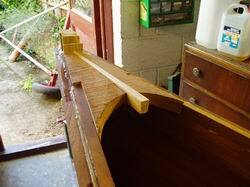 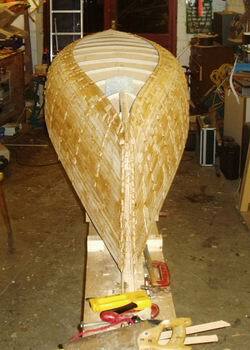 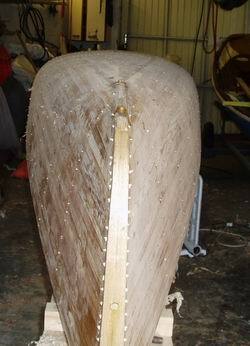 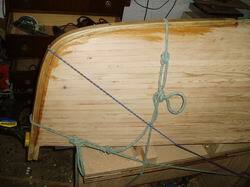 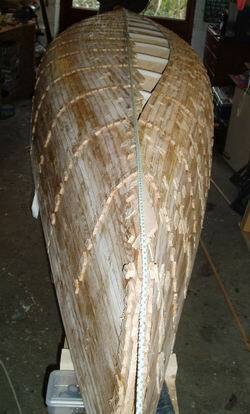 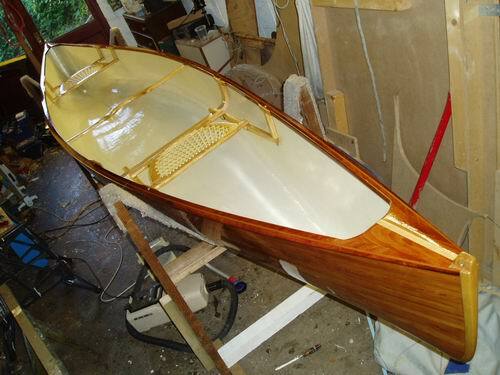 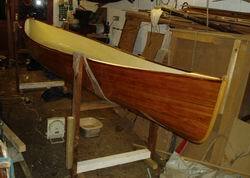 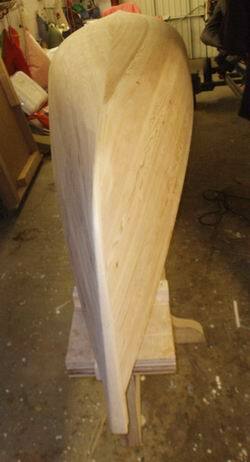 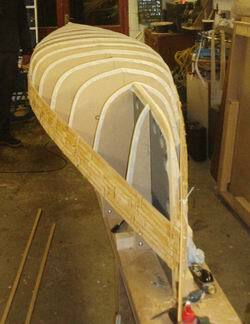 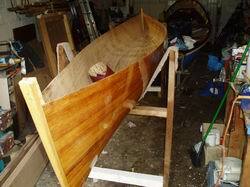 20th Sept 2006 – The finished item – stern seat, yoke, and bow slider seat installed… she’s ready for launching!